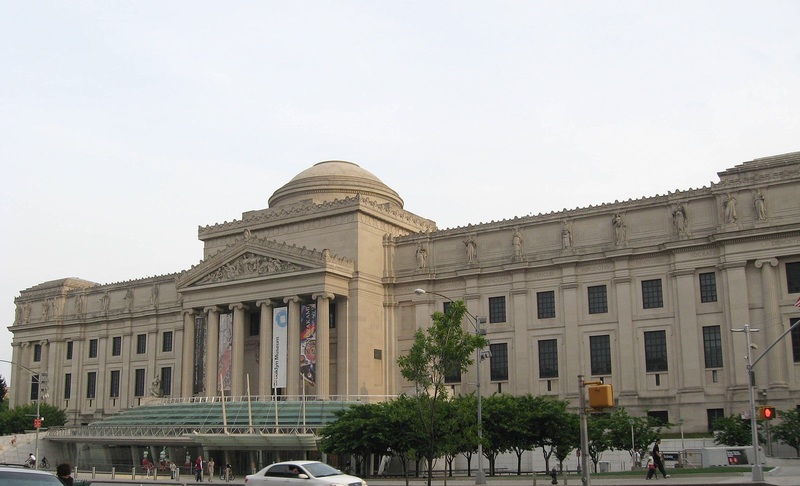 In January of 2009, The Brooklyn Museum officially transferred its rich and diverse American and European costume collection to The Metropolitan Museum of Art, its New York City neighbor. 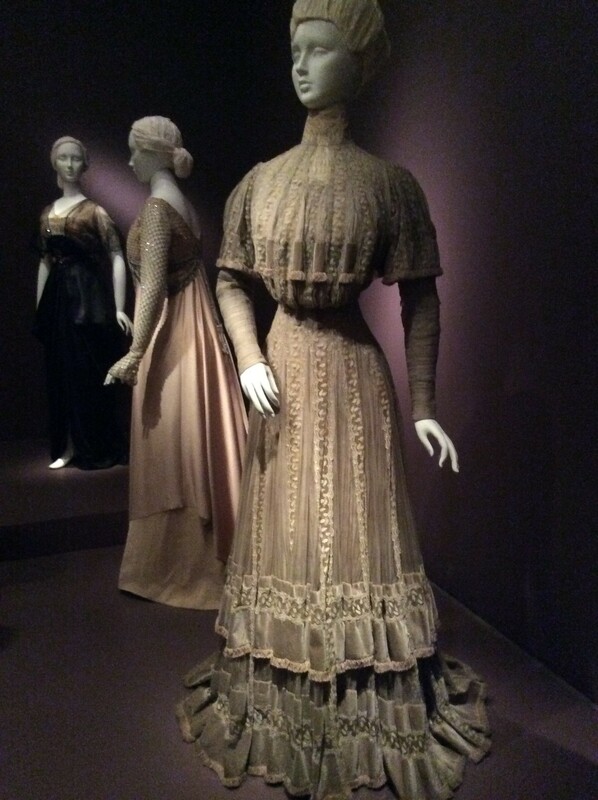 At that time, the widely acclaimed collection was integrated into the Costume Collection at The Met, but retained identification with its original owner and is now known as the Brooklyn Museum Costume Collection at the Metropolitan Museum of Art. The Collection had not been exhibited since 1991, due to the financial constraints of maintaining and caring for one of the museums most cost intensive objects. 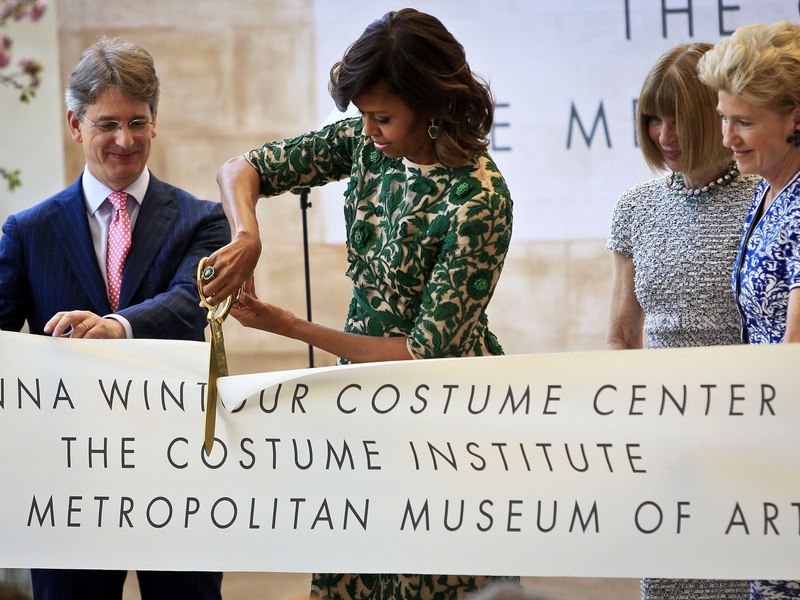 In 2014, the Met’s Costume Institute celebrated the opening of the $40 million revamped gallery and research center, the Anna Wintour Costume Center, named for Anna Wintour, Vogue Editor in chief. The Costume Center is a fitting home for the combined costume collections. 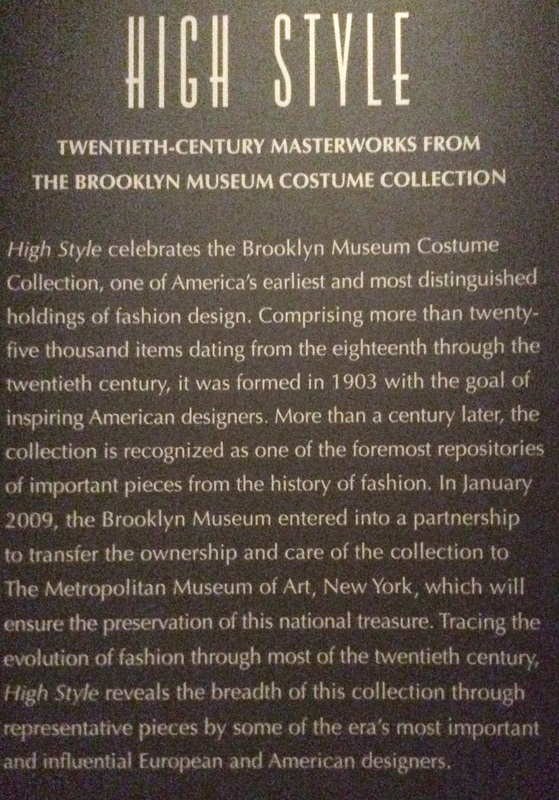 One of the very first exhibits, American High Style: Fashioning a National Collection, opened in 2010, and celebrated the new partnership between The Brooklyn Museum and The Metropolitan Museum of Art. 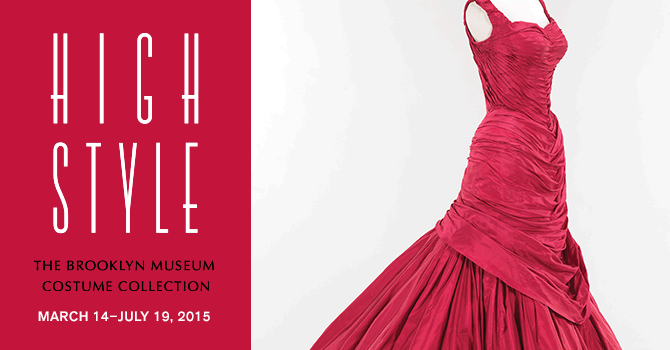 The exhibit is on tour and currently in San Francisco at the Legion of Honor through July 19, 2015. 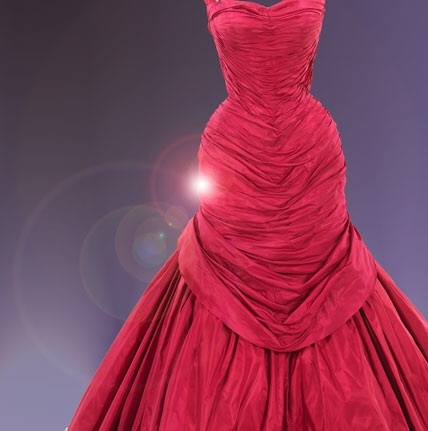 Symbol of American High Style, the Tree ball gown by Charles James (American, born England, 1906–1978). Shams at Communing with Fabric has a post from the same show with garment photos not shown here. My photos are limited as although photos were permitted, the exhibit was in low-light and no flash permitted. 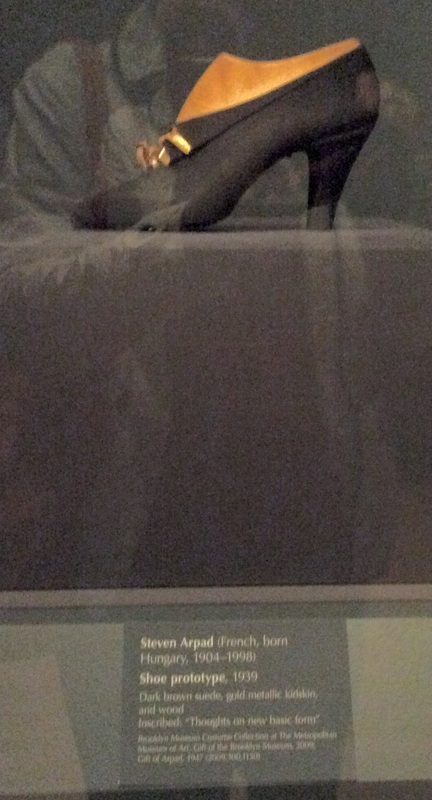 After the fact, I found a low-light photo app I will use next time. 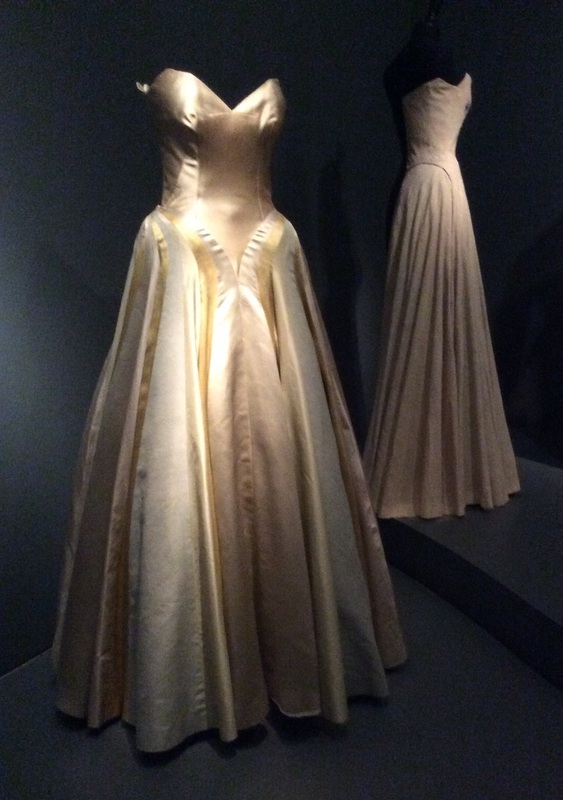 My favorite part of the show were the videos of a couple Charles James iconic ball gowns showing the pattern parts and x-rays of the interior engineering. Clover Leaf Gown–note the width of the hem; barely fits thru the doorway! 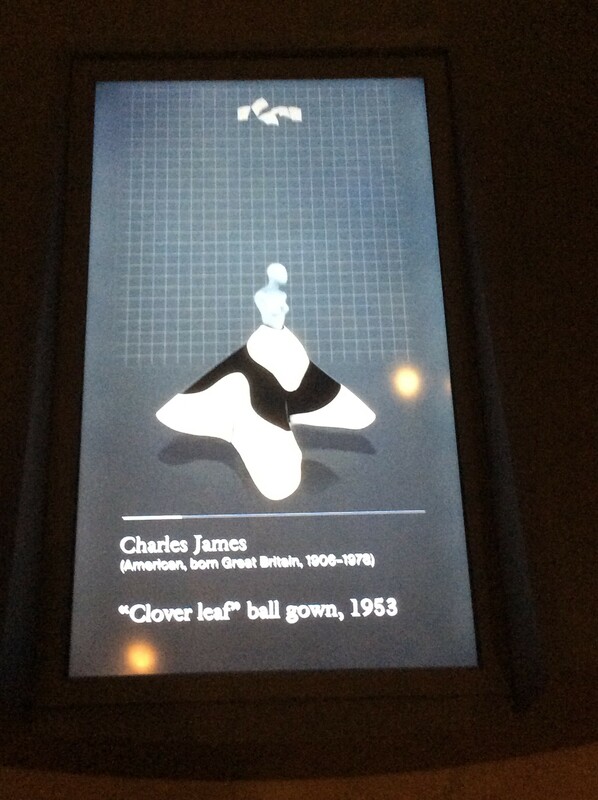 Here is a CT Scan of the same dress made by the Chicago History Museum. 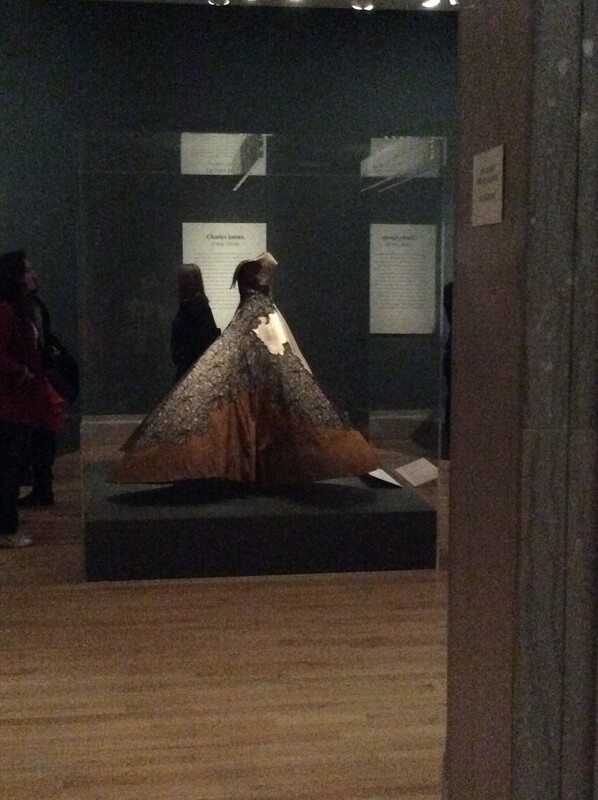 This is a video I took on iPad–3-D pattern development of the ‘Diamond’ gown. Love the shoes! Although six and seven decades old, still on the cutting edge. 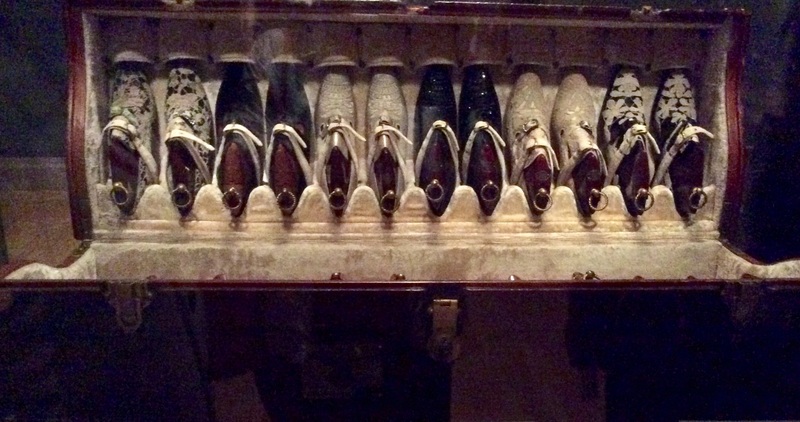 And a custom made trunk to keep the shoes in pristine condition while traveling. No baggage restrictions back then. 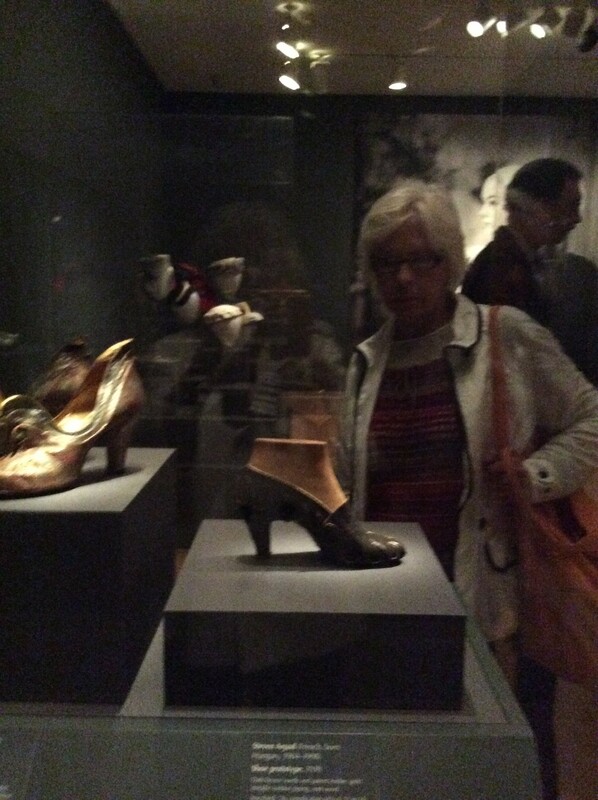 Sculpted heels…and a good looking gentleman engrossed in the shoes–sadly, not me. Muslin (R) and final ‘Ribbon’ gown. 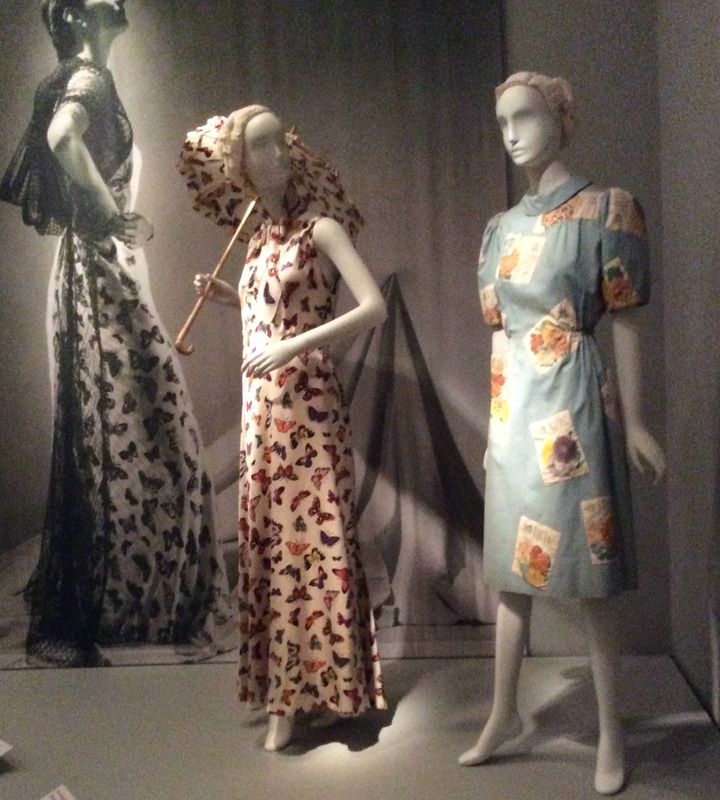 Dress on right has hand appliqued seed packet print, the inspiration for many an off-the-rack housedress. 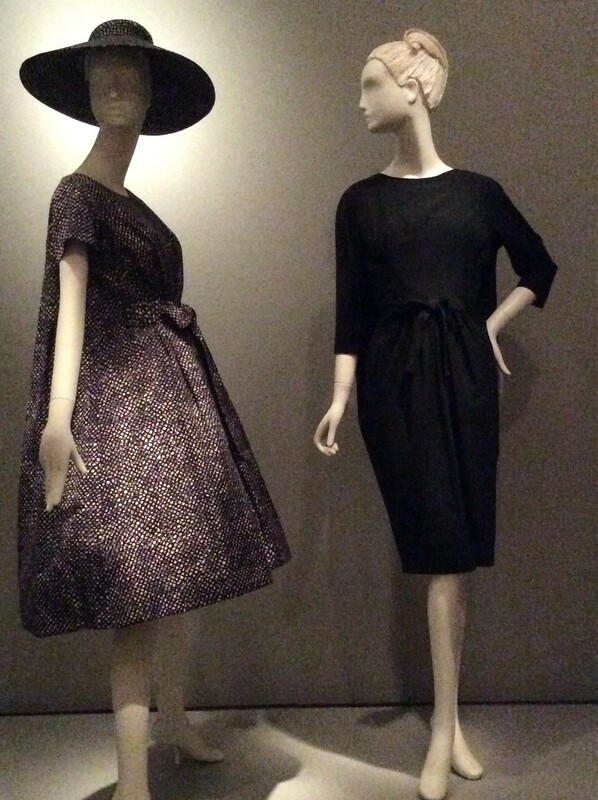 Only one garment of Cashin, McCardell, Bill Blass; two from Halston, a couple from Adrian… A great omission not to have included more from these mid-century designers. Personally, I would have preferred more from them. 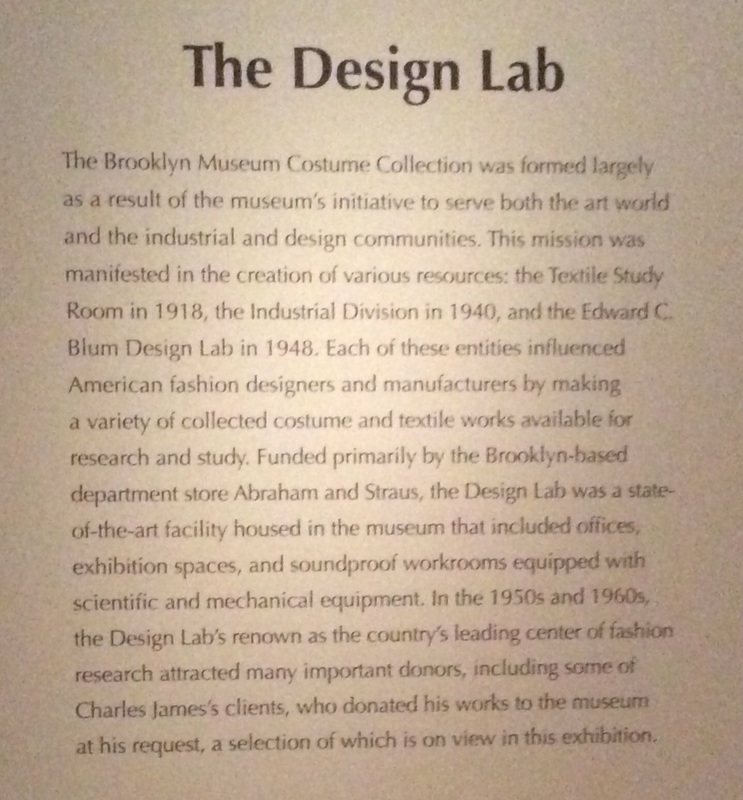 Two rooms are devoted to Charles James, Brooklyn Museum’s favorite son. 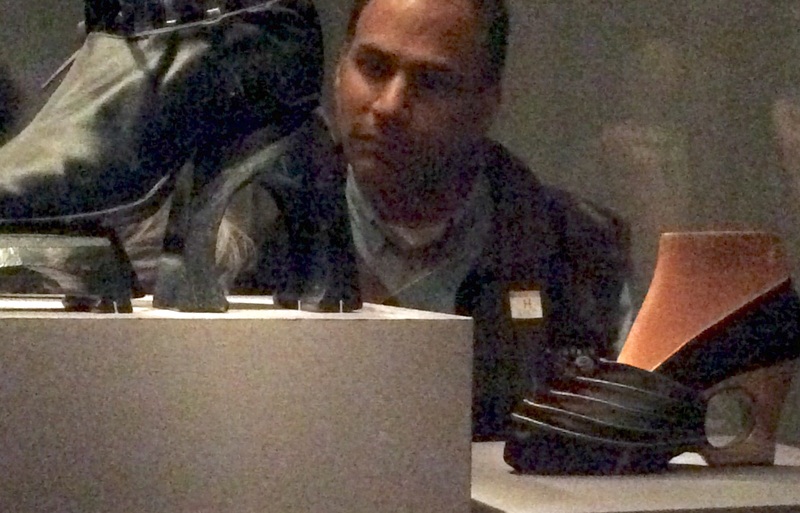 With due respect, the touring exhibit is limited and suppose a Favorite Son takes precedence. 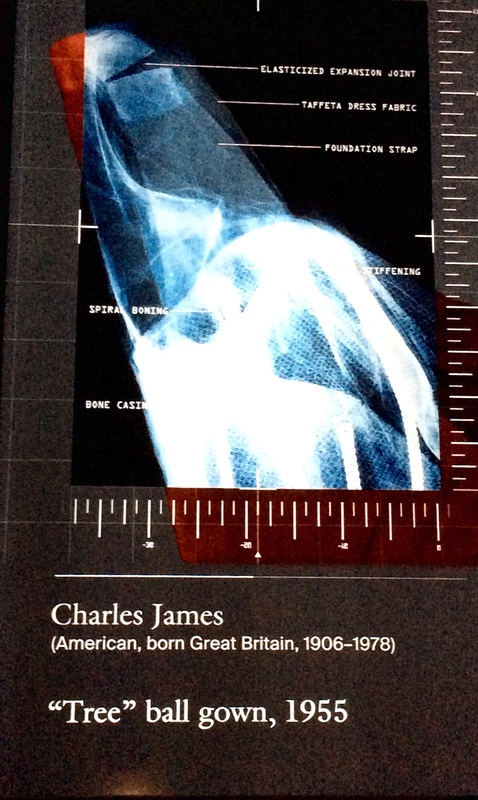 Some final words from Charles James. High Style is definitely worth a visit and be sure to have lunch at the Café; it’s fantastic! 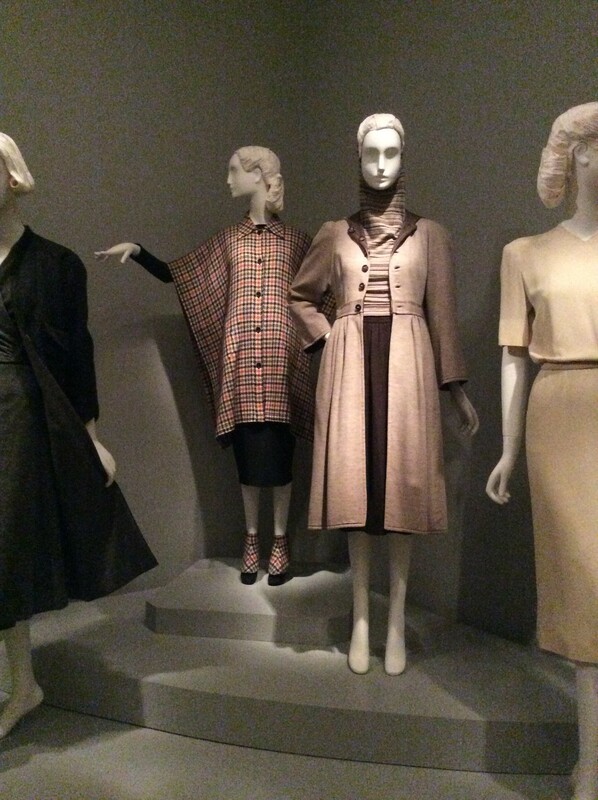 Italian Style debuted at the the MIA and was curated by V&A. 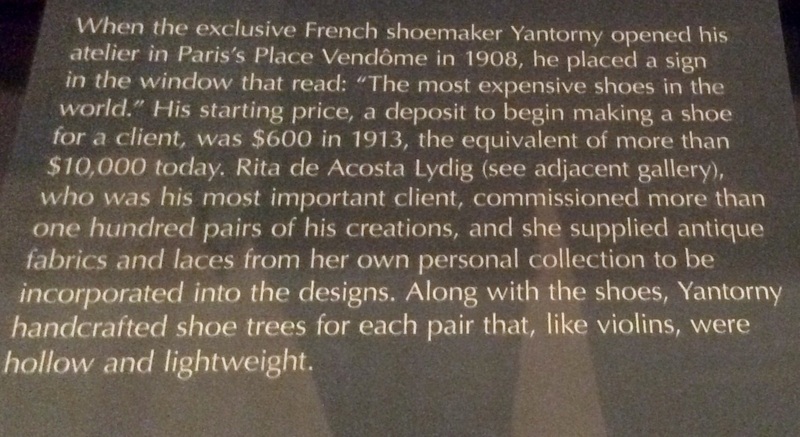 I found this exhibit much more interesting, but it was larger and I saw it on it’s first stop in the US. Perhaps that makes the difference. 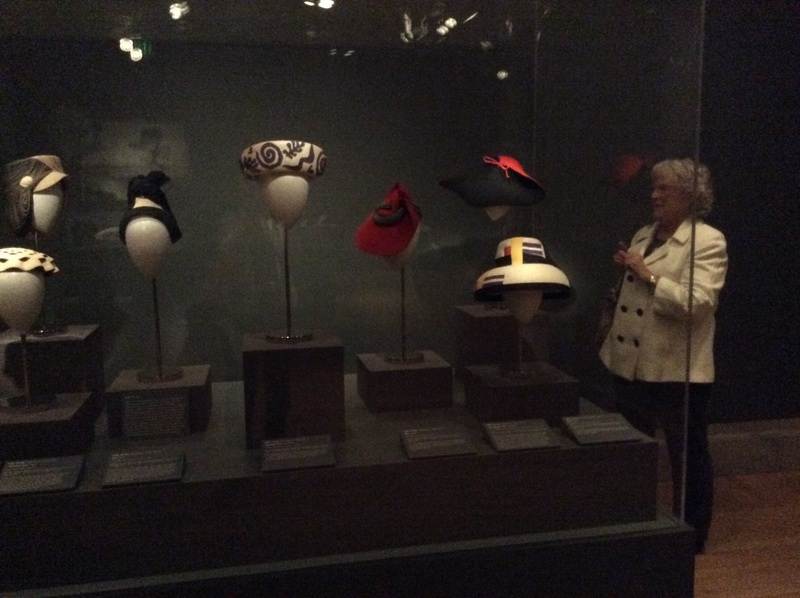 High Style Tour; another review of exhibit at Legion of Honor. 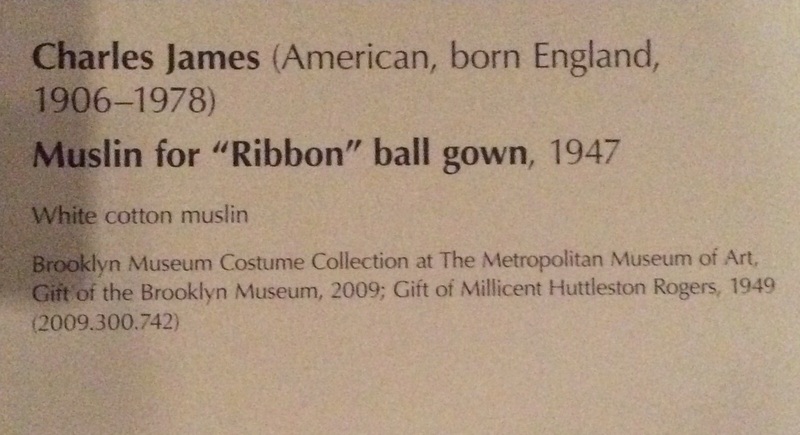 This entry was posted in FIBER FASHION FUN and tagged American High Style, Bonnie Cashin, Brooklyn Museum Costume Collection, Charles James, Claire McCardell, Costume Institute, Legion of Honor, MET, Ribbon Gown, Tree Ball Gown. Bookmark the permalink.